Rockstar Games announced the release of a much-awaited Prequel- Red Dead Redemption 2. Previously the original Red Dead Redemption was released in 2010 for PlayStation 3 and Xbox 360. 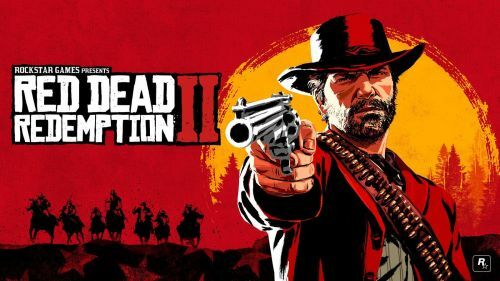 Red Dead Redemption 2 is simply a sequel to the Red Dead Redemption game released back in 2010. The game was a huge success and won multiple game-of-the-year award and other awards. Previously in the very first game, John Marston, the protagonist in the game was forced by federals to betray his old gang Dutch’s crew, capture or kill them. The incident took place in 1911. However, Red Dead Redemption 2 is taking place in 1899. This means the Part 2 is actually a prequel and taking place before John was forced to betray his gang members. “America, 1899. The end of the Wild West era has begun. After a robbery goes badly wrong in the western town of Blackwater, Arthur Morgan and Van der Linde gang are forced to flee. With federal agents and the best bounty hunters massing on their heels, the gang must rob, steal and fight their way across the rugged heartland of America in order to survive. As deepening internal divisions threaten to tear the gang apart, Arthur must make a choice between his own ideals and loyalty to the gang who raised him.” – The official storyline of Red Dead Redemption 2, Rockstar Games. What is Special in Red Dead Redemption 2? What makes any open world game a big success? The open world, duh! The most interesting thing about an open world game is the unique interaction between the player and the world. Rockstar Games specializes on open world interaction and Red Dead Redemption II is no different. The unique interaction between the players and the in-game world is very realistic and plays a big part in the game. Get the latest PS4 News only at Sportskeeda. I’ve played a lot of open world games and I’ve always felt there is a limitation in everything, the interaction with the open world is limited. Red Dead Redemption 2 removes that barrier and let you actually live and interact with everything in the game as the character. The towns, frontiers, wildlife everything is very real. Let’s take a look at some of the towns, frontiers and the wildlife of Red Dead Redemption 2.